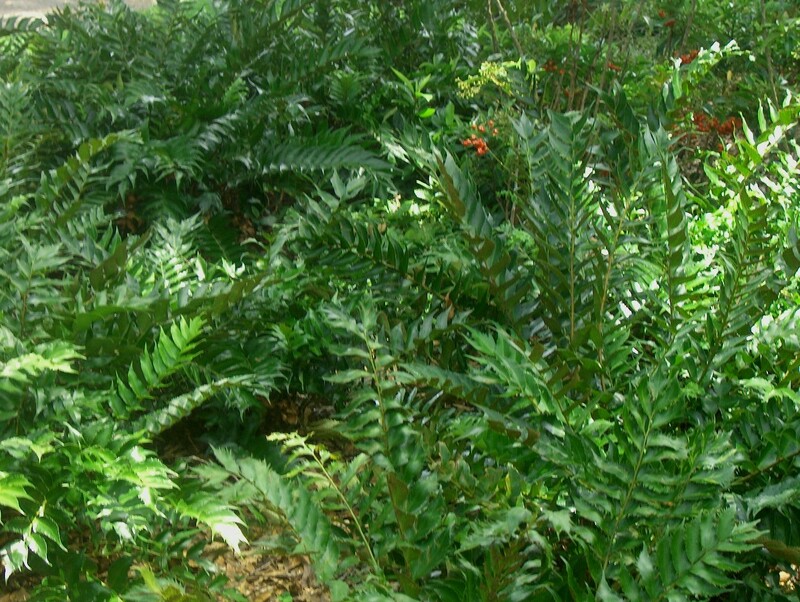 Comments: One of the best ferns for growing in beds and as a ground cover in shady, moist locations. Excellent for use in floral arrangements. There is a dwarf growing variety that is generally less than one foot in height. Periodic grooming is normally required to clean large clumps of old, browning foliage. Performs best when plants are growing in a soil that contains a generous amount of humus. Large clumps can be divided into smaller units during the winter months. Subject to leaf scorch in full sunlight. Makes an excellent ground cover.